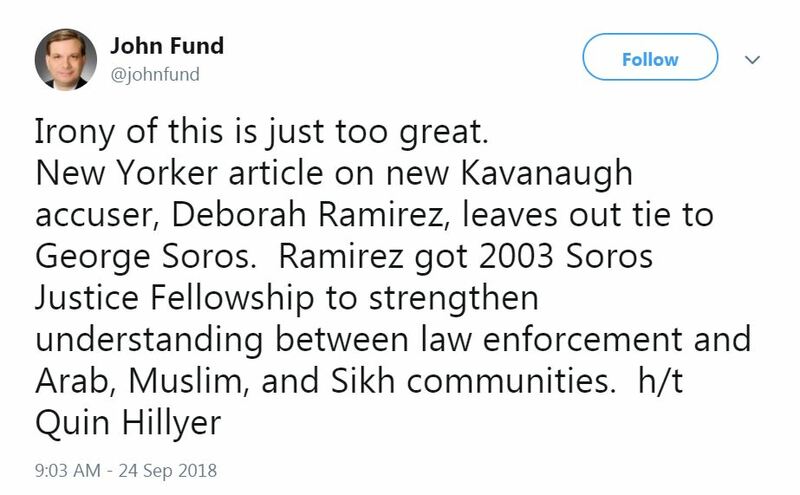 The recipient who received the fellowship is Deborah A. Ramirez, a professor at Northeastern University, not the woman who says Kavanaugh sexually assaulted her. Fund later issued a “correction” with “sincere apologies” for misidentifying Ramirez. Hillyer apologized on Twitter, writing, "I am told it might be a different Deborah Ramirez. If so, I apologize." The sloppy attack on Ramirez and The New Yorker echoes attacks made against Christine Blasey Ford, who said Kavanaugh sexually assaulted her when they were both in high school. Among the numerous smears spread about Ford, one posited that she was not credible because of negative reviews left at RateMyProfessors.com for a different Christine Ford.